A state visit, Central Australian style, at the opening night of A Town Like Alice: Front row (left to right) Beryl Oliver, Peter Finch, the star of the film, Reg “Mac” McCaffery and Billie McCaffery. Second row, second from left: Gough Whitlam. Public submissions are now being invited on the proposed heritage declarations of four places in the Northern Territory, one of which is the Pioneer Walk-In Picture Theatre and Kenna Residence on the corner of Parsons Street and Leichhardt Terrace – now the site of the YHA Hostel in the town centre. This is an account of the history and significance of this location, explaining why it deserves protection as a heritage site. Submissions to the Heritage Council can be made until February 18. If this heritage listing is successful, it will complement the existing suite of protected heritage sites found in the CBD – The Residency, Old Courthouse, Stuart Town Gaol, original Catholic Church, old Hartley Street School, John Flynn Memorial Church, Adelaide House, Heenan Building and Tunck’s Store. This last is closely linked to the walk-in picture theatre. I had long assumed the picture theatre site was already heritage listed so was astonished to learn late in 2017 this isn’t the case. Thirty years ago these buildings were a focus of protests in a successful bid to save them from demolition. Seeking to rectify this situation, I persuaded the Heritage Council almost a year ago to nominate these buildings of its own volition for heritage listing. The Pioneer Walk-In Picture Theatre is believed to be the last surviving example of its kind in the Northern Territory. It was built by Les “Snow” Kenna in 1942. He arrived in Alice Springs in 1934 “with a tonne of nitrate picture film” and commenced showing movies in the Welfare Hall, a building on stilts, across Wills Terrace from the north end of Todd Street (the area now known as Snow Kenna Park). The Underdown family soon built the Capitol Theatre opposite the Hotel Alice Springs (now a car park opposite Uncle’s Tavern) which Snow Kenna leased until he had his own Pioneer Theatre opened in 1942. It must have been opened early that year as prominent former businessman, Murray Neck, recalled sitting behind General Douglas MacArthur at the Pioneer Theatre one night. MacArthur and his family had arrived in the Alice on March 17 following their evacuation from the Bataan Peninsula in the Philippines under siege from the Japanese Imperial Army. Snow previously went into partnership with George Glass running a general store in Todd Street, then built a new store with living premises on the corner of Hartley Street and Stott Terrace where he and his wife Rose lived for a time. This building later became Tunck’s Store. Snow and Rose Kenna moved to their new home on Leichhardt Terrace when the Walk-In Theatre was built – now all part of the YHA Hostel (above). The Kennas were significant benefactors for Alice Springs in a variety of ways. They held free film nights for children, especially those staying as boarders in town, and each year looked after celebrations for the annual Christmas tree festivities. They supported many worthy causes; and were amongst the principal financiers of the Alice Springs Memorial Club when it began. Films shown at both the Capitol and Pioneer theatres were always social events. They were open-air theatres without roofs because air-conditioning didn’t yet exist in town. Patrons sat in deck chairs (who often had their favourite seats) or sprawled on the floor. During winter, patrons came with blankets, hot water bottles and thermos flasks. Dogs sometimes wandered in with their Aboriginal owners, and occasionally livened up proceedings when they got into snarling dogfights. It was all part and parcel of the fun. Extensions and improvements were made to the theatre in 1950, including a new wide screen and the distinctive light tower and ticket box that now forms a part of the front entrance of the YHA Hostel. In early February 1955 the ground-breaking film “Jedda,” which starred Rose Ngarla Kunoth (then a girl living at St Mary’s Children’s Village) was shown for several nights. Most of this film was shot in the NT, mainly on Coolibah Station in the Victoria River district which was a property owned by Snow Kenna. (In an extraordinary coincidence, a front page story at the time reported on two young English nurses touring the NT calling for the provision of youth hostels in Australia). 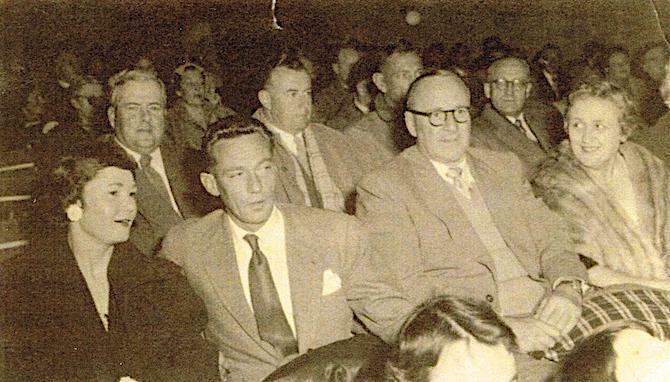 A year later the Pioneer Walk-In Theatre was the venue for the world premiere of a major motion picture in Alice Springs, “A Town Like Alice,” on the night of July 24, 1956. This was a gala occasion, attracting media from across the country and overseas, which provided tremendous publicity for the Alice. Typically, the Kennas donated the night’s proceedings – almost £1000 – to the Royal Flying Doctor Service. The guests of honour included Peter Finch, the lead male actor, and also Neville Shute Norway, the author of the novel that inspired the movie. Jock Nelson, Member for the Northern Territory, declared the occasion as a major historic event for Alice Springs. He had hosted a cross-party team of visiting Federal politicians on an extensive road tour of the Territory during the mid-winter parliamentary break, an annual practice he began in 1950 to apprise interstate politicians of the practical difficulties of living in the remote north. Presumably a member of this group, one visiting politician attended “A Town Like Alice” during what was probably his first visit to the NT since he saw service with the RAAF on the Gove Peninsula during World War Two. A rising star in the Labor Party, he was destined to return to the Territory many times in his long life, and profoundly influenced its history – Gough Whitlam. In 1957 Snow Kenna decided to expand his movie theatre enterprise. A keen horseman from his Queensland droving days before coming to the Alice, Kenna was an active member of the Central Australian Race Club, which ran the race course on the north side of town. Kenna applied to establish a drive-in picture theatre inside the race course but was refused, as the land was earmarked for future urban development (now the Braitling suburb). He then sought to build on vacant land on the south side of Undoolya Road but again was knocked back – this area later became Sadadeen. Finally in the early 1960s, Kenna acquired a large lease beside the south Stuart Highway where he built the Pioneer Drive-In Theatre, which opened for business on January 28, 1965. Snow Kenna stated the drive-in would be his “last monument” and so it was – he died in August that year. Whereas Kenna had first sought to build a drive-in in the middle of the race course north of town, the CARC in turn later relocated to its new track, Pioneer Park, across the Stuart Highway opposite the drive-in. Conversely, as future urban development thwarted Kenna’s plans for a drive-in theatre near town, the vacant lot for the past 30 years since the drive-in closed has so far defied every housing development proposed for that site. After Snow’s death, the Kenna family continued to operate both Pioneer theatres for a few years but sold the properties to Greater Union Theatres in the early 1970s. The drive-in was renamed the Starline Drive-in and became the dominant enterprise, open every night of each week while the Walk-In Theatre opened only on Saturday nights. For many years it was the practice to show major feature films first at the Walk-In Theatre for one night, a week in advance of showing them at the Drive-In. There was one occasion when this arrangement was altered; in March 1978 the “movie that everyone was talking about” – Star Wars – was shown for three nights at the Walk-In Theatre but wasn’t shown at the Drive-In until three months later. 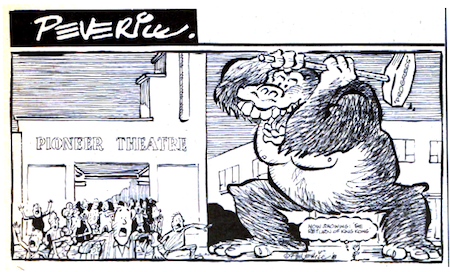 The reason for this disruption was due to national demand that was so great the movie print couldn’t be held for the intervening week to be shown at the drive-in – and it took months before it could return to Alice Springs! Another early sign of the gradual demise of the Walk-In Theatre was its closure for three months late in 1977 because it failed to meet fire safety regulations. In late 1983, Greater Union Theatres announced both the drive-in and walk-in theatres were for sale. Both businesses were losing viability with the onslaught of home video entertainment. The properties were bought by Big Print, a local company owned by Wayne and Margaret Thomas, who also owned the new Gap Motor Hotel and established Alice City Autos (now the Peter Kittle Motor Company). The drive-in continued operating but the walk-in picture theatre was closed. Big Print leased the walk-in theatre property for three years to Peter Wilkins and Carmel D’Almeida who proceeded to convert the former cinema into a market place, leading to some structural changes in the old buildings. Wilkins took up residence in the old Kenna house. Some two dozen shops and stalls were constructed within the confines of the former cinema property. Mayor Leslie Oldfield officially opened the Pioneer Market Place on Saturday, December 8, 1984. 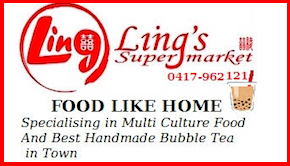 The shops included a butcher, greengrocer, fishmonger, and numerous food outlets – gourmet, pancakes, roast meats, ice cream, Chinese, and Rocky’s Pizza Shop. Customers could choose either to take away or eat on site at outdoor tables in the courtyard patio area. Other shops included a camera store, leather work, jewellery, clothing, Mbantua Aboriginal artefacts, artwork, trash-and-treasure, and the Green Thumbs Nursery, to name a few. There were also plans to establish a small museum highlighting the history of the Walk-In Theatre but these never eventuated. Initially the Pioneer Market Place was open Thursday to Saturday each week but by March 1985 many shops and stalls were open seven days a week. 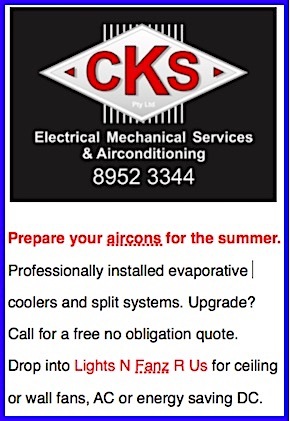 There were many changes to what was on offer over a period of two years. A new restaurant, Wild Waters Café on the Todd, opened on the Leichhardt Terrace side in early April 1986. But change was afoot – Big Print placed the drive-in and Pioneer Market Place up for auction. Both properties were passed in on August 2, 1986, but it seemed the writing was on the wall for the preservation of the old walk-in theatre. Businesses on the site were worried the old theatre would be destroyed to make way for new development, a concern heightened by the demolition of the Stuart Arms Hotel and sudden destruction of Turner House (amongst other buildings) that were making way for the new Ford (now Alice) Plaza. The National Trust responded by listing the walk-in theatre and residence on its NT register although this had no legal effect to prevent their destruction. Wayne Thomas was unsympathetic. 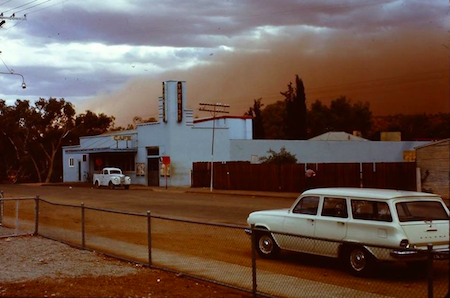 In the early 1980s, as an alderman of the Alice Springs Town Council, Thomas had been at the forefront of calls to demolish the old Hartley Street School to make way for extra car parking space in the CBD. The National Trust led a successful campaign to save the old school and Thomas was in no mood to lose again, declaring “the Trust should buy the buildings if it was fair dinkum about saving them”. Mr Thomas said if the Trust did not buy the buildings then they have only themselves to blame if the buildings were demolished. (Centralian Advocate, 6/8/86). By late 1987 the site was acquired by architect Les Platt, who had designed the now completed Ford Plaza. More fears were expressed for the fate of the old buildings, including by Wild Waters Café manager, Sonya Hagerstrom, who “had heard rumours that the building was to be demolished. “I’ve also seen a plan of the Central Business District at the council and there’s a blank space where the walk-in is supposed to be. A lot of people have told me they have heard plans for the building’s demolition. “A man who gets a lot of sub-contracts around town said he had heard that a contract for the building’s demolition had been issued”. (Advocate, 21/10/87). The fate of the walk-in theatre and residence reached a crescendo a year later. 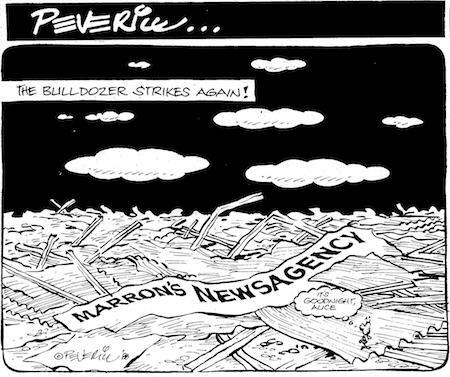 On the night of July 31, 1988, developer Les Farnham bulldozed Marron’s Newsagency in Todd Mall. The town erupted in protest, and this event led directly to a turning point in the Northern Territory’s political history. Public anger over heritage issues was inflamed further when news broke revealing the Walk-In Theatre came within a whisker of destruction: “Last-minute negotiations stopped the demolition of another piece of Alice Springs history yesterday. “The Pioneer Walk-In Theatre was destined to be demolished but at least one prospective buyer stalled its demise. The Territory Youth Hostel Association is interested in buying the theatre and converting it into a hostel. “YHA executive officer Charles Hamlyn-Harris said the association would not be interested in buying the property without the theatre”. (Centralian Advocate, 12/8/88). Meanwhile the NT Government was resisting calls for heritage legislation: “Lands Minister Daryl Manzie said the Government would not introduce “draconian heritage legislation”. The story continued that the “Conservation Commission was investigating the need for legislation” and Manzie “would consider the reports before making any decision, particularly one which would impose ‘yet another regulatory regime on Territorians’. “I believe a balance must be struck between the legitimate aspirations and rights of owners and developers of private property and the needs of Territorians to have their structural heritage preserved”. (Advocate, 12/8/88). Three days later former Deputy CM Ray Hanrahan resigned from politics, triggering a by-election for the safe CLP seat of Flynn. Heritage issues were at the forefront of the campaign. Labor candidate Di Shanahan (pictured) who had achieved a 16% swing against the CLP in the Araluen by-election of April 1986) and the NT Nationals’ Enzo Floreani both called for heritage legislation in the NT. On September 10 the CLP was crushed with a swing of over 21% against it. Only the day before, news broke that the Walk-In Theatre and associated properties had been sold but there now erupted a battle between two parties contesting the winning bid. The YHA confirmed “it had made an offer of $500,000 for the complex which was “unequivocally accepted. “It was our intention to develop a YHA hostel within the site while sustaining existing buildings”. (Advocate, 9/9/88). The rival bid was from Les Farnham, of Marron’s Newsagency infamy, who claimed to have purchased the site from Les Platt on condition the block was cleared. An application to demolish the buildings was put before Lands minister Daryl Manzie. The NT Government was now well and truly wedged. Severely chastened by the Flynn by-election drubbing, the government played for time: “A spokesman for Mr Manzie said … he had ‘certainly not approved’ the application and would be talking to the National Trust and ‘looking at information’ about the theatre. “It is not even clear … who the property has been sold to and it is our understanding that it is the subject of legal dispute”. (Advocate, 21/9/88). The information Manzie was looking at was a report by consultant Peter Dermody for the Lands Department which favoured “the preservation of the building and describes the Walk-In as the last example in Alice Springs of an era that touched nearly everybody over 20”. (Advocate, 21/9/88). Meanwhile the situation was heating up. Public protests were held outside the Walk-In Theatre, led by Di Shanahan but also prominently supported by Mayor Leslie Oldfield and entertainer Ted Egan. Les Farnham was observed once watching quietly across the road. During one of the protests, two disguised characters – one on stilts wearing a wolf mask named “Mr D. Veloper” (aka the inimitable Robin Laidlaw) – got stuck into the crowd: “Why don’t you piss off and leave us to develop the town as we bloody well feel like it?” and, yelling at a passing motorist: “Get off the road … I just bought it”. (Advocate, 21/9/88). During the early October Legislative Assembly sittings, the deputy Labor leader, Brian Ede (pictured) , presented a petition with 1642 signatures in support of the Walk-In Theatre. 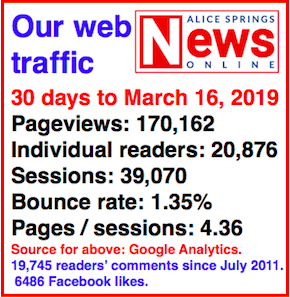 “Mr Ede said the petition was proof of an overwhelming response from Alice Springs residents that people would not allow any further destruction of the town’s heritage. “The knocking down of Marron’s before the public had a chance to have a say has angered the town,” Mr Ede said. “What we are saying is enough is enough. 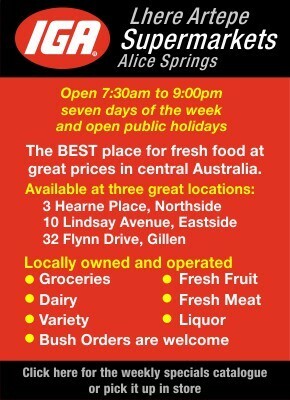 The business people of Alice Springs know that the tourist potential of the town is being harmed. “It’s just the Government which is not acknowledging the problem”. (Advocate, 12/10/88). Events took a new turn – the State Bank of South Australia intervened by taking possession of the mortgage, invalidating the caveats taken over the site by the rival buyers, and allowing the NT Government off the hook for the application for demolition. On October 19, 1988, news broke that the bank accepted YHA’s offer of $490,000 to purchase the site, thereby saving the Walk-In Theater and Kenna residence (now the premises of Alice Bazaar, a second-hand shop) from destruction. The YHA proceeded to build new accommodation on the site incorporating the old theatre (and later the Kenna residence) and, after a $1.2m upgrade, the Alice Springs Pioneer Hostel opened its doors for business on October 13, 1990. Less than two months earlier, the developer-owners of the redeveloped Territory Motor Inn – the town’s first four-storey building including the former site of Marron’s Newsagency – had been placed into receivership owing creditors millions of dollars, just four months after its grand opening in April. The NT Government, bowing to the inevitable, enacted the Heritage Conservation Act in 1991 – the Territory’s first heritage legislation, now superseded by the Heritage Act 2011 legislated by the Henderson Labor Government. The YHA Hostel has now been operating in the Pioneer Walk-In Picture Theatre and Kenna residence for three decades, and is now a prime example demonstrating the concept of “adaptive re-use” of a (potential) heritage site. It has outlasted Annie’s Place, Toddy’s and Melankas, and continues to function well in the CBD – unlike many other more modern business premises. Mate in the white man’s world every thing is destroyed. It’s all to do with money hungry people. How many places for lease in town? Go spend your money renting these. Use it for the markets. Alex who was the Aboriginal Minister? And I think the Broome Open Air operates once a week to a fullhouse. We seem to never learn in the name of “Progress”. Another asked: “Where are all the verandas?” Another told me: “This is just like Christie’s.” He lives at Christie’s beach, South of Adelaide. 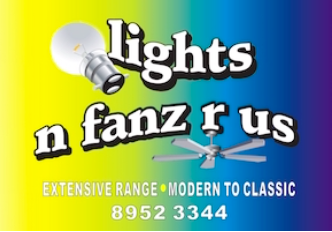 We still refuse to look at places like Hahndorf where they have used their heritage to create a huge industry, while we have allowed – even encouraged – a few greedy developers to make their money and then hightail it out. No wonder people no longer travel the long distances to get here only to find that its just the same –sometimes even worse than the place they had just left. There has been no imagination or LONG TERM future direction in planning. Were it not so, where the disgrace of Kilgariff is now would be a vibrant demonstration of what is being done to feed the extra nine billion people expected to inhabit the earth within 30 years, and encourage the investment to make that happen. They can’t eat houses and Todd Mall would be filled with throngs of people experiencing both the history, culture and possibilities of what can still be a unique town if they make the right decisions on what is valuable. And that is not they yield in housing allotments or parking spaces per hectare as was a planning consultant’s vision of the town. Time to start again. @ Gavin Carpenter: Following on from Alex’s comments, Gavin, you will get good value from Wayne should you make an inquiry. Krafty is a good man. Knowledgeable, passionate and thorough. @ Gavin Carpenter (Posted February 6, 2019 at 4:25 pm): Not the case, Gavin, the original structure overall is in remarkably good order, even down to one of the old projectors still existing on site inside the front entrance. Neither is it the case that management or maintenance of other heritage-listed sites is too difficult or complicated “and eventually fall down anyway”. Suggest you contact the chairman of the Heritage Council, Wayne Kraft, for a full explanation. I’m not sure it should be heritage listed as the many changes made over the years have taken away the original concept. My understanding is that if heritage listed any further alterations or repairs would not or could not be done without problems as has been proved elsewhere. They then fall into disrepair and eventually fall down anyway. Is there another way of saving heritage without the restrictions of total heritage listing? Great dust storm photo taken from the rear of the ANZ Bank prior to add ons. Holden car belonged to the chemist Don Brown. Some great meals had at the walk-in cafe run by Billy Woods in the 60s. Steak and eggs cooked straight on the top of a big wood stove was a favorite. @ Chippy Miller. You are spot on mate. How can anyone describe the sheer magic of the starry beautiful night we watched the first showing of Man Walking on The Moon at the Pioneer. The place was packed. Old men and women sitting up front, in the aisles, in the old canvas chairs. When the first steps were taken, you could hear a pin drop. Looked around the darkened theatre. Everyone was looking up at the brilliant night sky. In silence. All thinking the same thing. An Alice Moment for the Ages. Perhaps you would have the energy to write a follow-up with the sad story of the attempts to preserve the Drive-in site? It seems to have a jinx on it, there have been so may owners and proposals drawn up over the years, from Steiner School to eco village to transport yard with a few in between, but as yet nothing has happened except the destruction of the old infrastructure. The other heritage story worth re-telling is of the demolition of the Rieff building in the CBD,ironically authorised by an Aboriginal minister with responsibility for heritage listing, so that an Aboriginal company could redevelop the site. 50 cents went along way back then. 30 Cents to get in and 20 cents to spend at interval. Excellent article, a little long but really necessary as it was very informative and interesting. I grew up in Alice in the late 80s and 90s but had little knowledge of the Pioneer Walk in Picture Theatre. I only ever knew of the site being always a YHA hostel. I never had a reason to go inside the hostel and I only saw the place from the exterior. I thus assumed one day there was potential for it would be demolished and redeveloped. I never knew that the site was even a picture theatre. I did however always wondered about that feature of the front right hand side of the building but didn’t think about it too much. I only ever knew of the theatre down near Anzac Oval and the drive in on the south Stuart Highway. Yes, please preserve this little gem now known as the YHA hostel in town. Thank you YHA for buying it instead of that other rival bidder from winning. Get this building heritage listed before it’s too late. That old house with the nice garden next to Kmart should never have been demolished. As for the old Alice Drive-In on the south side, I thought I read some where that a mini tornado or large dust devil (whirly wind) destroyed the remaining screen a few years ago. Housing doesn’t really belong on that site. If anything it would be nice for the site to get a revival. Have the screen rejuvenated and maybe the land be used for multiple purposes. Movie nights can still be the go. There is a drive in movie theatre still operating on the Gold Coast. If not profitable the site on the Stuart Highway could still host some nights and draw in new business. Maybe the site could become an open air market place alternative venue for markets? Maybe it is a dark enough location for a star gazing venture? What ever the path maybe, the community should decide, the council should act and something good should come out of the old drive in. It cannot remain an untouched ghost yard for ever.